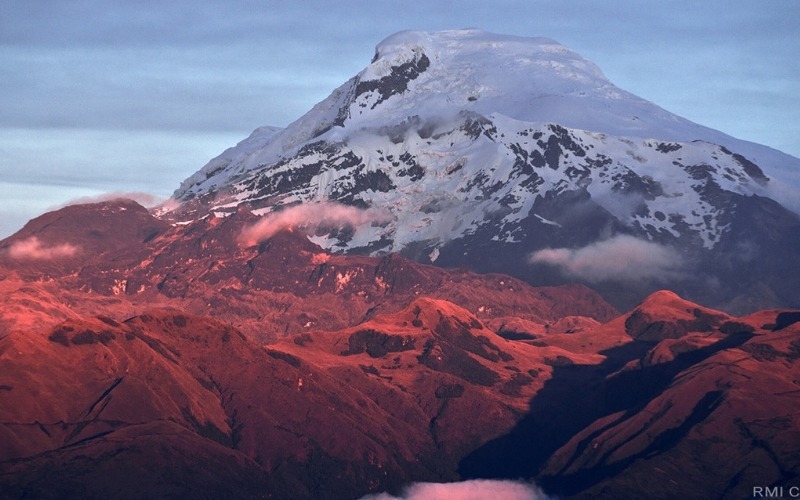 Flying in and out of Quito, you’ll acclimatise to the high altitude with challenging treks in the Pinan Highlands of the Cotacachi-Cayapas Reserve before heading south to barter the well known Otavalo Indian market, relaxing in the geothermal hot springs and a day to explore Quito before climbing the inactive stratovolcano named Imbabura. Exciting and character-building as it is, all this is only practice! 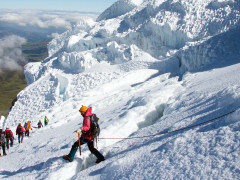 The main event begins as you climb to Cayambe's glacier to learn the ice-skills you’ll need to for the tough ascent to the summit! After 9 nights in hotels, 4 nights full-service camping and 1 night in mountain hut (with all breakfasts, 11 lunches and 9 dinners included) plus five full days hiking up glaciers, encircling crater lakes and climbing volcanoes up to a maximum of 5790m - you’ll have earned the right to call yourself a real adventurer - you could even call yourself Indiana Jones! 1 night in mountain hut!